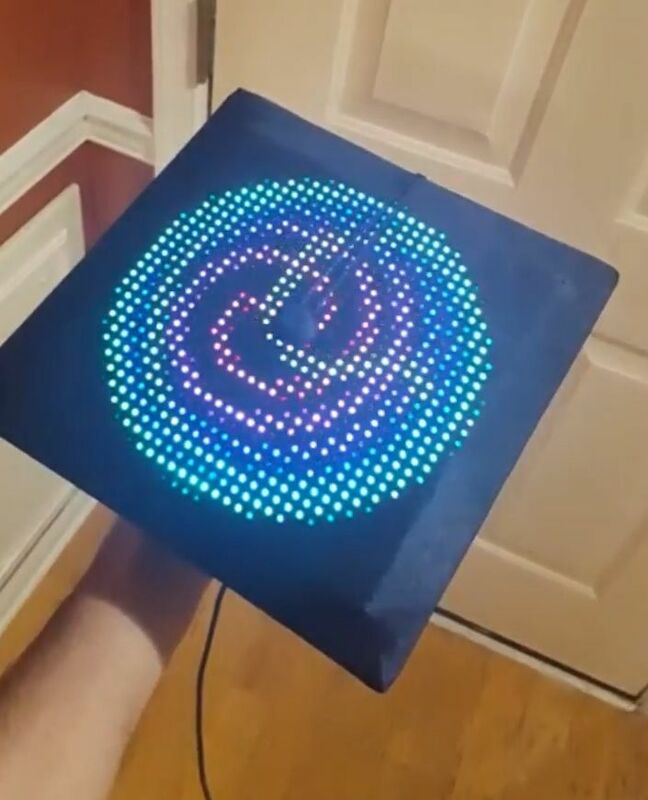 How to Surprise People at Your Graduation #WearableWednesday #wearabletech #tech #Arduino #DIY « Adafruit Industries – Makers, hackers, artists, designers and engineers! Cedar Cliff High School in Camp Hill, PA recently encouraged students to express their individuality for graduation. If you check the school’s photos you’ll find all sorts of cool cap designs from personal emblems and humorous zingers to future college logos. However, one student decided to go to the top of the class with a hacked cap sporting an LED matrix. A Hackaday post gives the details. The board is controlled by a Teensy hosting a SmartMatrix shield. With the shield’s assistance, the matrix enables scrolling text and GIFs to play across the LEDs, as well as an SD card slot to load up your favourites. Currently, it’s set to a 50-50 chance of playing a gif — one of sixty — or one of the twenty scrolling text lines loaded onto the SD card. Animated messages can be viewed by people seated above the wearer in a stadium, and also straight on if the hat is removed. It’s hard to imagine that schools would allow this, but according to the maker the principal was fine with it since there wasn’t anything derogatory. Check out the show! I think in the future we’ll be seeing an increase of LED matrices on clothing for onstage political statements when there isn’t a chance to speak. Got something you want to say? 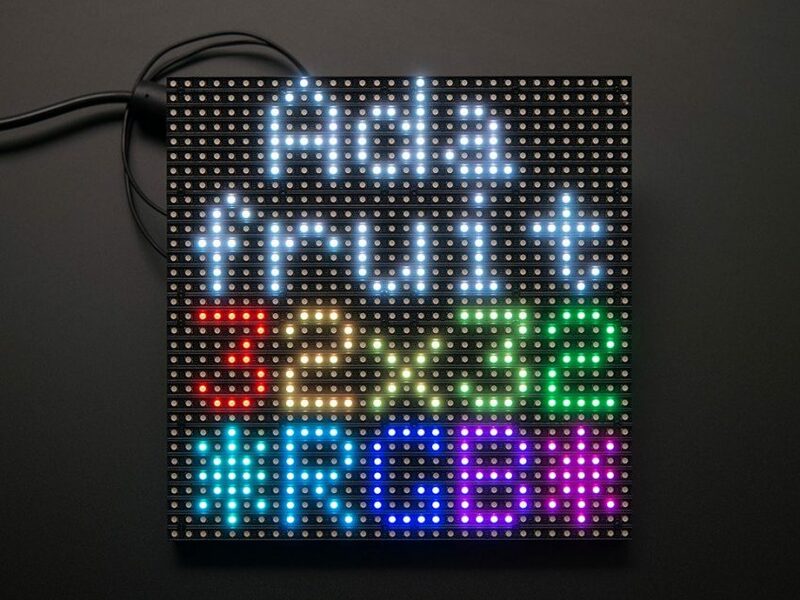 Check out more dets on the build—we’ve got the parts including the amazing 32×32 LED Matrix. Animations and text are all part of the DIY magic. Congrats to the class of 2017 on some epic caps; 2018, you better get your game on!